Let’s play a matching game! 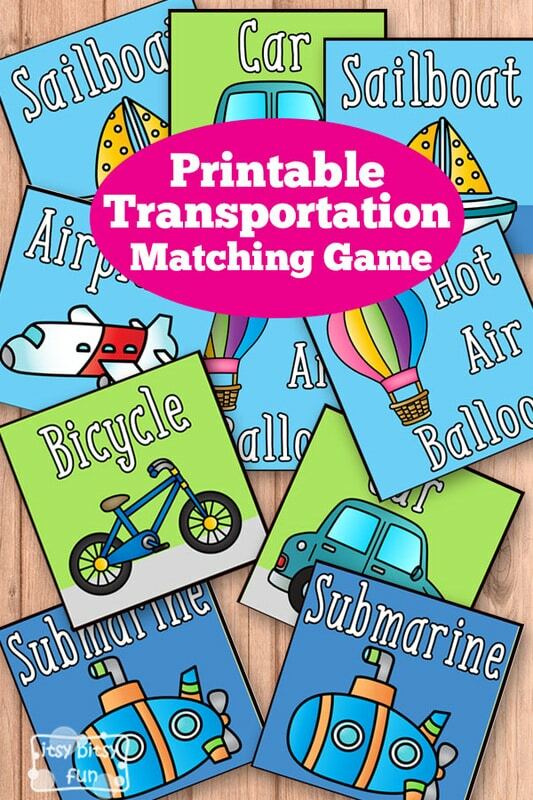 Matching games are super fun and a great brain exercise and this transportation memory game is just the thing to take on the road! 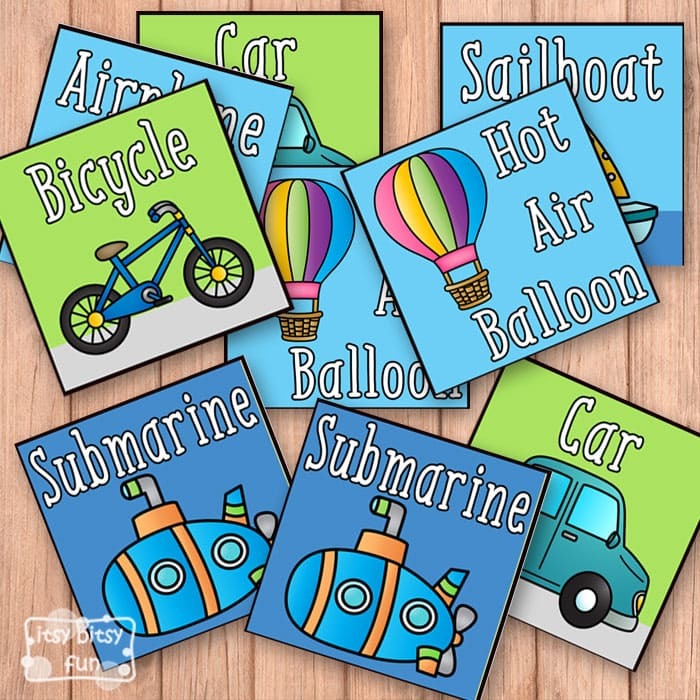 Your kids will be matching up planes, cars, all kinds of boats, blimps, hot air balloons, bicycles and more! But there’s more! 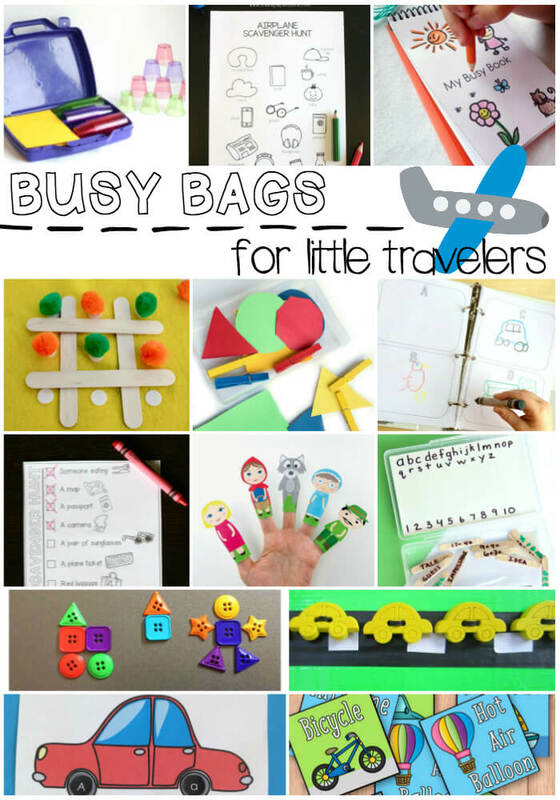 As this post is a part of a monthly blog hop you’ll find a ton more awesome ideas to keep the kids busy during travelling at the end of this post! There are 12 pairs to match up in this game – each with lovely graphics and a name for the transportation on the card. I recommend you print these on thicker paper or even better laminate them so that they won’t get damaged so easily (and will survive many family road trips). And here are a ton of amazing ideas from my favorite bloggers!